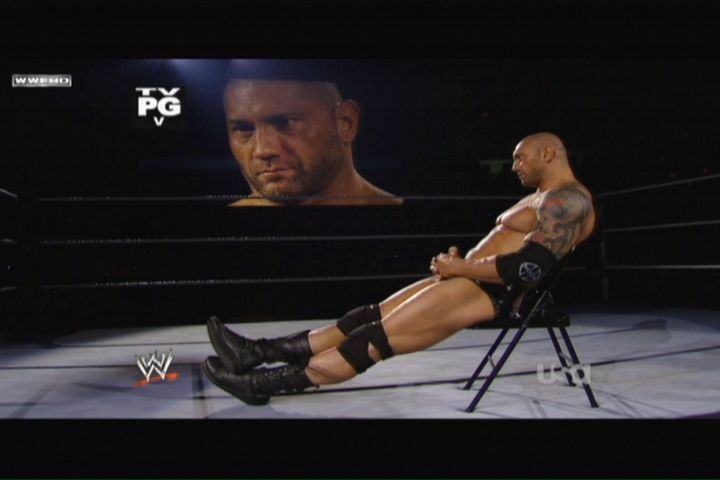 If Rodin were alive, he'd scrap "The Thinker" and re-sculpt it as Batista. A bump only Batista could bump. Best bump ever. I could watch this all day. I *have* been watching it all day.